In this article, we highlight the 100 most affordable accounting degree programs among the more selective small colleges in the U.S. and Puerto Rico. If you're planning to get an accounting degree at a small college, it will be hard to find schools that present better value than these. As a matter of fact, the 25 most affordable carry a net price of less than $12,000/yr. Represented among these accredited institutions are 30 states in the continental U.S., along with Hawaii, District of Columbia, and Puerto Rico. Looking to stay close to home? Virtually every region of the U.S. is represented. Though they are small, selective, relatively affordable, and offer accounting degrees, the similarities end there. These 100 institutions vary widely in overall institution focus, background, setting, and affiliation. Among them you'll find these and many more. Accreditation – Accredited institutions offering Bachelor degrees in Accounting, Accounting and Business/Management, and Accounting and Finance. Undergraduate Student Enrollment – Schools with a population of 3,000 or fewer students. Applicant Admittance Rate – Schools that admit 60% or fewer applicants. Average Net Price(*) – From the 165 schools meeting the above criteria, we selected the 100 schools with the lowest average net price for the 2012-2013 school year, and we ordered them 100-1, with the top school being the one with the lowest net price. In alignment with the work of the Accounting Education Change Commission, the accounting program at Millikin University emphasizes accounting theory and practice, along with foundational skills necessary in problem solving and critical thinking that are necessary for success in the field. Students are strongly encouraged to pursue the Certified Public Accountant (CPA) designation, and the program is curtailed for this career path. Courses include business core topics and a rigorous accounting class program. Accounting specific communication skills are honed throughout coursework and student application. Recruitment at Goshen College’s Accounting Department is considered top-notch, with 100 percent of accounting students securing employment before graduation. Some of the top rated accounting firms in the country recruit from the Goshen College campus. Students are required to have two to four internships before graduation, with a paid internship during senior year. The highly focused hands-on experiences prepare for a full-time position in the accounting field. Some of the firms recruiting students at Goshen College include such accounting and business moguls as Ernst & Young, Everence, and Crowe Horwath. The Accounting program at Marian University focuses on a hands-on approach to learning, and preparing students to take the CPA examination. Students must complete 150 credit hours before taking the CPA exam, but at Marian, completion of credit hours is flexible. Students may accumulate the required credit hours over eight to ten semesters. An accounting adviser is assigned to each student to assist in the planning of coursework and completion requirements for the program. A full-time accounting internship is offered through Marian. Students earn 12 credits upon completion of the internship. Also available to students is the Becker CPA Exam Review, which is part of the accounting program. Curriculum for the program is offered at no additional charge. The Michigan State Board of Accountancy approves the Accounting concentration at Adrian College. Students receive instruction from faculty who are Certified Public Accountants, as well as experts in the field. Real life experience and hands-on application are of focus within the curriculum. Many of the professors are active members of prominent accounting and business organizations, such as the Society of Financial Services Professionals and the American Institute of CPAs. The program emphasizes accounting codes of ethics and technical knowledge servicing the accounting discipline. Students graduate with preparation to succeed in an accounting career, no matter what the sector. Offered through the Business Administration major at Bluefield College, the Accounting concentration prepares students for a career as an accounting in a wide variety of sectors, both private and government. Students graduating from the program find employment in areas of business, government, and non-profit organizations. A select number of students pursue the Certified Public Accountant examination upon graduating. Students take core classes in business administration followed by a number of courses designed to hone general accounting, auditing, and taxation skills. Faculty members are experts in the field with both academic and professional work experience. Lake Erie College’s Accounting department prides itself on supply quality graduates to the accounting profession. Students are prepared in accountancy through the school’s coined “language of business.” Students learn a wide set of skills in areas of finance, general management, and professional accounting. Internship opportunities allow students to integrate their knowledge within the accounting field and in all areas of business. Students who wish to pursue the Certified Public Accounting examination can earn the additional required credits in their undergraduate courses and graduate work. Lake Erie offers a Master of Business Administration degree with an emphasis in Accounting. The Central Christian College of Kansas Accounting program is designed to prepare students for successful careers as accountants, or meet the requirements necessary to pursue the CPA examination. Upon completion of 150 hours, students may sit for the CPA exam. For students who want to secure employment immediately following graduation, the program provides assistance through mentorships and internships. Courses that prepare students for successful careers in accounting are comprised of theory and application. Some of the course topics include cost accounting, advanced professional communications, business law, and professional ethics. A variety of accounting degree programs is available at La Roche College, including a Bachelor of Science, Accounting Certificate, and Master of Science in Accounting. The graduate program prepares students for qualification of the CPA licensure and is designed to ready students for successful completion of the examination. An Accounting 4+1 program is available to provide a seamless transition from undergraduate accounting to graduate accounting study. Successful completion of the program yields the 150-hour CPA certification requirement. Coursework includes unique topics like Fraud Examination, International Accounting, and Wealth Management. The Bachelor of Science Accounting degree program at Friends University prepares students for professional-level employment positions in the field. Students graduating with a four-year degree in accounting from Friends are eligible for employment in governmental agencies, international companies, and large accounting firms. Program outcomes include understanding the four financial statements, comprehending accounting techniques in decision-making, researching and analyzing financial data as used in accounting, and being able to utilize business technology to perform necessary business functions within the industry. Students are prepared for employment and for the CPA examination, although additional courses may be required in order to sit for the exam. The School of Business Administration at Texas Wesleyan University offers two options for those who want to study accounting – the Accounting pathway or the Accounting with Forensic and Fraud emphasis. The traditional accounting path prepares students for work in the world of accounting and licensure as Certified Public Accountants (CPAs). Students majoring in Business Administration with a concentration in Accounting, take elective courses specific to the accounting discipline throughout the program. Common accounting classes include Accounting Theory, Auditing, Cost Accounting, Ethics and Professionalism in Accounting, and Federal Income Taxation. The Accounting major at Olivet College is prepared for success in public and corporate settings within the accounting field. Accounting skills are taught through coursework that emphasizes technical and professional techniques commonly found in the industry. Foundational courses and electives are designed to prepare students for mid-level employment positions and the CPA examination. Governmental Accounting is not required but recommended by the program, as the course is required to sit for the Michigan CPA Examination. The program design allows students to take both business and non-business courses to develop a well-rounded breadth of knowledge and flexibility that will adapt to many different career paths. 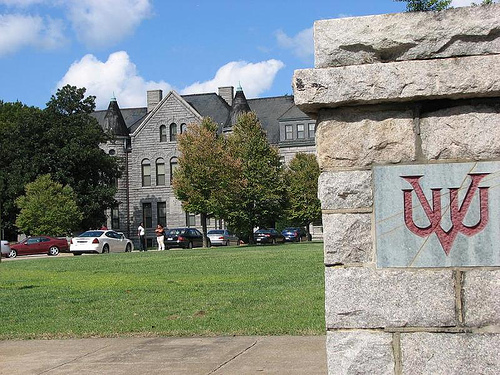 Virginia Union University’s Sydney Lewis School of Business has two departments – Accounting and Management. The Accounting program prepares students to graduate with a Bachelor of Science degree in Accounting, with coursework and study that launches them into the leadership roles with accounting and financial firms or graduate school. The program provides a holistic approach to the functional areas of accounting and business. General education courses are required as well as 18-23 credit hours specific to the Accounting major. The Accreditation Council for Business Schools and Programs (ACBSP) accredits the program. The multidisciplinary accounting program from Cedar Crest College prepares students in a variety of studies that allow for a smooth transition into the field of accounting, business, and finance. Studies develop critical thinking skills, along with necessary knowledge in auditing, finance, law, mathematics, and taxation. Students are encouraged to explore various areas of interest by taking major course requirements as well as classes outside the discipline. Students expand their knowledge base by taking classes of interest, such as dance, art, computer technology, or the sciences. The program is designed with the American Institute of Certified Public Accountants (AICPA) requirements in mind. Building on a liberal arts course foundation, the accounting major at Washington and Lee University becomes skilled in the ability to analyze, synthesize, and communicate knowledge in various business areas. Degree offerings include a Bachelor of Science with Special Attainments, including Accounting and Business Administration and Public Accounting. The Accounting program recognizes several students annually with awards and recognition. 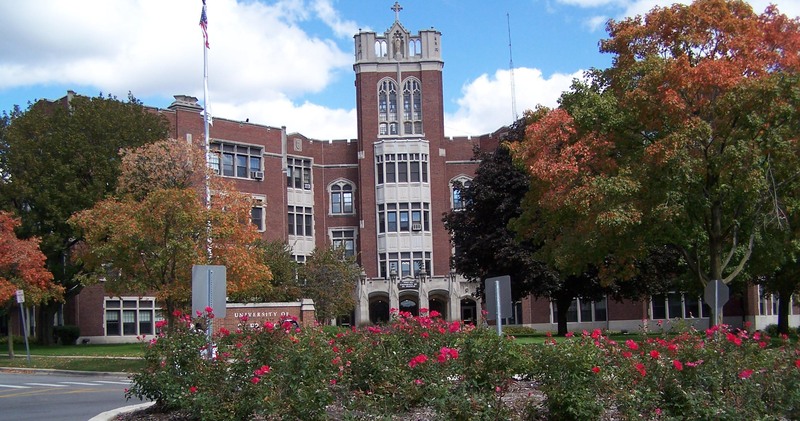 High-achieving students are issued awards by the Williams School and include The Joseph and Georgiana Topinka Memorial Scholarship and The Accounting Department Award. Big Four accounting firms, with promises of prestigious appointments, recruit approximately one-third of graduates. Many others go on to pursue graduate school programs in accounting, business, and law. Graduates of Newberry College’s Bachelor of Science in Accounting are encouraged to take the Certified Public Accountant examination. The program prepares students to meet the academic and experiential requirements for the CPA examination as instituted by the American Institute of Certified Public Accountants. The Business Administration Advisory Committee monitors the program. The committee consists of four practicing CPAs and professionals working in the field of business and accounting, which meet annually to review curriculum and make suggestions for revision and course delivery. The accounting and business departments sponsor one of the oldest chapters of Phi Beta Lambda. All accounting majors are encouraged to join the chapter. Students who major in Accounting at Concordia University – Saint Paul, learn inside and out of the classroom. Opportunities through the Business Club and the Minnesota Department of Revenue expand work outside the classroom and provide students with internships and experiences that prepare them for successful careers in the accounting field. The program prepares students to become experts in the field and opens doors to the Fortune 500 companies that sit nearby. Obtaining internships and jobs are the key focus of the program through course preparation, skill building, and experience. Accounting graduates acquire skills demanded in the accounting marketplace and many find employment before graduation at area companies and agencies, such as the nationally recognized firm of Deloitte. The accounting track at Morningside College operates under the Business Administration program. Students graduate with a degree in Business and Emphasis or Concentration in Accounting. A wide scope of business, finance, and accounting courses give students a well-rounded approach to their studies, preparing them for all areas of business and accounting employment opportunities. Accounting courses may include Income Tax Accounting, Auditing, Accounting Preceptorship, and Introduction to Financial Accounting. An internship in accounting is required for those who wish to gain experience in public accounting, managerial accounting, or governmental accounting agency. Students pursuing an Accounting major at Bethany College are required to complete coursework that enhances understanding of foundational accounting principles. The program helps students understand auditing theory, business cost analysis, contract law, and personal income taxation laws and issues. Math, Business, and Accounting courses are required, most of which are completed during the first two years of study. A dual major in Computer Science and Accounting is offered at Bethany, allowing students to strengthen their interest in computer science and apply it to the field of accounting. The Accounting program at St. Mary’s University operates under the Greehey School of Business, combining the language of business, finance, and accounting. Majoring in Accounting allows students the opportunity to become decision makers in the business world. The program prepares students to sit for the CPA Examination in Texas, according to the Texas State Board of Public Accountancy requirements. Graduates may apply for admission to the Greehey MBA in Professional Accountancy, which is optimal for those pursuing qualifications to sit for the CPA exam. Students who desire a public or private accounting career take advantage of the North Carolina Wesleyan College Accounting program’s unique design. The program provides individualized instruction, one-on-one assistance sessions, and group learning activities that prepares students with the skills needed to succeed in the accounting world. The liberal arts foundation gives students ample exposure to critical reading, writing, and thinking opportunities. Students become well versed in theory and accounting application. The broad education and specialized training appeals to employers in governmental agencies, private firms, and public accounting organizations. The LaGrange College Accounting program is the first accounting program in the world to become accredited by the Association of Collegiate Business Schools and Programs. Accountancy at LaGrange focuses on project-based learning through hands-on activities and experiential knowledge. During a student’s final three semesters, simulation activities are provided. These hands-on activities showcase what a public accountant does when leading an audit from start to finish. The program reaches beyond the classroom and textbooks to provide students with a unique learning experience. Subject matter covered includes ethical decision-making, communication ability, and accounting management. Offering Bachelor of Arts and Science degrees in Accounting, Converse College prepares students for the world of accounting through theory and practical application-based learning. Students cover topics such as auditing, tax accounting, and forensic accounting. Students are prepared to pursue the Certified Public Accountant (CPA) certification and secure employment in the ever-changing field. Courses impart real-world skills and hands-on projects that may be used in all areas of business. Converse offers opportunities for internships in some of the major firms, including Dixon Hughes, Smith Barney, and Ernst & Young. The Accounting program at Ave Maria University embraces rigorous study in humanities, sciences, and accounting, preparing students for a future career in all sectors of business. Students gain opportunities to grow their faith, while taking classes and receiving mentoring and career guidance. Valuable internships that provide integration into the world of accounting are available through the program. Students gain background knowledge that transition to graduate school where a Master of Public Accountancy or Doctorate may be earned. The program prepares students to sit for the CPA examination. Accounting specializations are available at Texas Lutheran University through the Business Administration program. Both Bachelor’s and Master’s degrees are among the accredited Business Administration and Economics programs. The Master of Accountancy degree may be obtained through two distinct paths – concurrently with a bachelor’s degree or after graduating with a relevant accounting or business degree. The program prepares students to sit and pass the Certified Public Accountancy examination. The internship placement rates for Master’s degree students in Accounting were 100 percent in years 2014 and 2015. Saint Thomas University’s School of Business offers a Bachelor of Business Administration in Accounting for students who want to pursue a career in public or private accounting. Qualified students may pursue a Master of Accounting with completion in as little as one year of study. The program prepares students to sit for the CPA examination. Scholarships are available for accounting majors and the school assists students with financial aid, scholarships, and curriculum planning. Students become experts in critical thinking and specific subject theory, making them marketable to accounting firms, non-profits, and government organizations. The School of Business at McMurry University offers a Business Administration degree program with a concentration in accounting. Students receive a solid background in liberal arts with training in business administration. Once the core courses are completed, coursework hones accounting skills. Typical accounting classes include Management Accounting, Taxation and Auditing, and Financial Accounting. The state law requires 150 credit hours of completion to sit for the CPA examination, and the school prepares students for this trajectory. Post-graduate work is an option for students who wish to pursue their Ph.D. in accounting. Concordia University offers two accounting degree programs – Bachelor of Arts in Accounting and Bachelor of Science in Business Administration with emphasis in Accounting. For students who want a liberal arts experience with broad scope of study, the Bachelor of Arts is well suited. Students who desire a more business intensive core-learning environment choose the Bachelor of Science pathway. Concordia offers its accounting and business students a supervised work experience, which provides a way to earn academic credit while acquiring practical hands-on experience. Davis & Elkins College offers an associate’s degree in accounting for students who want to pursue entry-level work as an accountant or continue their education at a four-year college. A Bachelor of Science degree option is also available in Accounting. The International Assembly for Collegiate Business Education accredits the business program, which includes the Accounting discipline. The school promotes internship opportunities for students to gain apply knowledge outside the classroom. Typical internships take place during the summer and students work ten hours per week. Operating under the Business department, the Accounting program at Eastern Nazarene College combines business core academics with a solid foundation in accounting. The Bachelor of Science in Accounting requires a minimum of 123 degree credits to graduate. Business core requirements and capstone courses and general education classes are also required. Accounting coursework includes Auditing, Federal Tax, Accounting Information Systems, and Managerial Accounting. An accounting internship is available to sophomores, juniors, or seniors, and three credits may be earned while interning off campus. Net Price: $18,158The Accounting program at Cairn University prepares students to take the Certified Public Accountant examination. All studies follow a double-degree or dual-degree pathway, offering students a Bachelor of Science in Bible and a Bachelor of Science in Business Administration with Accounting emphasis. Accounting studies provide in-depth analysis of specific areas of the discipline to provide students with a solid foundation in business, management, and ethics. Students have the opportunity to participate in a community service and entrepreneurial outreach program known as Enactus, while enrolled in the Accounting program. Howard Payne University’s School of Business offers an Accounting program with multiple options of study. Students may pursue a traditional major, a specialized major designed with the Certified Public Accountant career trajectory in mind, or an Accounting major with emphasis in Finance. The Bachelor of Business Administration –CPA degree pathway consists of five years of study (150-credit hours) to satisfy the Texas State Board of Public Accountancy requirements. Upon completion, students are eligible to sit for the CPA exam. Internship opportunities are available through the school’s career center. Faculty mentors assist with academics and internship options. Following a biblical framework, the Accounting program at Simpson University blends business, finance, and ethics with technical requirements of the accounting field. The goal of the accounting program is to prepare students to make sound decisions in a moral and ethical manner. Legal practice in the accounting field is emphasized throughout the program. Students take various courses that provide hands-on experience and theory-based learning. Auditing, tax law, and accounting systems are covered in coursework. Toward the end of the program, students participate in an internship in a nonprofit or for-profit organization. Both General and Public Accounting degrees are offered at William Penn University. Both programs offer rigorous training in specific areas of accounting. Courses prepare students for work in a constantly evolving field. Class curriculum promotes student engagement in problem solving, critical thinking, and ethical dilemmas. Students take a required Business Ethics course that engages extensive critical thinking skills. Faculty utilizes a Socratic method of engagement to prompt class participation. Core business classes are required, including corporate strategy methods, contemporary business law, and statistical methods. Accreditation Council for Business Schools and Programs accredits the Business and Accounting programs at Xavier University of Louisiana. The Accounting program is dedicated to preparing students to sit for and pass the CPA examination. Curriculum, faculty emphasis, and interactive team learning at Xavier prepare students to successfully pass the CPA examination. Past graduates have been hired at leading accounting firms, including PricewaterhouseCoopers. The Internal Revenue Service actively recruits at Xavier, for those who want to pursue accounting jobs in a government agency. Students graduate with a readiness for the real world of accounting. The Bachelor degree program in Accounting at the University of Saint Francis provides students with specialized skills that successfully serve the ever-evolving fields of accounting, business, and finance. The Accounting program is geared toward preparation of the CPA examination, through extensive training and internship opportunities. Local CPA firms and the Volunteer Income Tax Assistance (VITA) program help students gain real-world experience while in school. Students earn academic credits for internships, receive resume-building assistance, and have the opportunity to network with successful community leaders. The program is designed for student success in accounting. The Accounting program at York College prepares students for work in nonprofit and for-profit agencies or continued education in areas of law, finance, business, and accounting. Students receive adequate training that prepares them for entry and mid-level careers in accounting. Preparation for the CPA examination is also available. Students are required to earn a minimum of 150 credit hours before they are eligible to sit for the exam. Accounting coursework required for degree completion includes Cost Management, Fundamentals of Auditing, and Income Tax. A three-credit Accounting Internship provides hands-on experience working with a certified public accountant. Accounting majors at University of St Francis learn critical skills and concepts required to succeed in the field of accounting. Students gain internship opportunities, volunteer and community service experience, and practical skills and techniques that transition from classroom to workplace. In the Taxes I course, students gain the opportunity to become a VITA volunteer, working with the public to assist in the completion of tax returns. Students may also receive coursework and experience necessary for eligibility of various certifications and examinations. The CPA exam, CMA certification, and CIA credential are all possible through the Accounting program at University of St Francis. The Accounting program at South Carolina State University prepares students through faculty mentorship and accounting courses designed to improve the understanding of the field. Business courses are required. Students must earn a letter grade of a C or better to continue within the program and earn credit toward their degree. Accounting coursework includes Federal Tax Procedures, Accounting Information Systems, and Writing and Composition Applications in Accounting. Students must take particular business related math classes and a public speaking course to satisfy degree requirements. The Accounting program at Daemen College offers a variety of pathways to degree completion. Students may participate in an accelerated format, allowing them to complete their Bachelor of Science degree in three years and the Bachelor of Science and Master of Science in four years. This is the common pathway for students who wish to pursue the CPA certification. Students may also elect to complete a course sequence that allows them to major in Forensic Accounting, a new program to the school. The Accounting department offers opportunity for community service, internships, international experience, and leadership skill building through a variety of programs and services. Students who wish to pursue a career in accounting opt for the Business Administration degree option with a minor in Accounting at Cumberland University. Cumberland’s accounting program provides foundational courses required for success in the accounting field. Students graduate with a Business Administration degree and concentration in Accounting, which makes them marketable in a variety of business, finance, and accounting settings. Accounting courses include Principles of Accounting (two levels), Tax Law, and Auditing. Students graduate with hands-on experience and knowledge that transitions into the corporate world of accounting. The Bachelor of Science degree in Accounting from The Sage Colleges prepares students with a solid foundation in accounting techniques and principles. Students are prepared for whatever career trajectory or education pathway they choose, including the CPA examination or Master of Science in Accounting degree option. Students take courses that satisfy general education requirements, including business and math classes. Required support courses include Business Law, Financial Management, and Micro and Macroeconomics. The Accounting core is comprised of 27 credits, which include topics such as Individual Taxation, Managerial Accounting, and Cost Accounting. Newman University offers a Bachelor of Science in Accounting for students who want to make a difference to an improved society. Program completion allows students to work as an accountant in a wide variety of organizations, from government to private practice. The curricula design prepares students to sit for the CPA examination. Students may also focus their studies in fulfilling specific requirements for other accounting pathways, such as the Certified Management Accountant (CMA), Certified Financial Manager (CFM), Institute of Internal Auditors (IIA), and the Association of Certified Fraud Examiner (ACFE). Northwood University’s degree programs in Accounting prepare students with the skills and understanding needed to successfully enter the career field. Students learn the language of business and how to communicate it in a fluent manner. Most schools postpone accounting courses until the sophomore year, but at Northwood, accounting classes are taken during the first semester of study. The program integrates management courses with the required accountancy curriculum. The combination of disciplines gives students an edge over those who are not exposed to business administration. The Accounting program at Washington Adventist University is combined with Business Administration to provide students with exposure into all areas of business. Students may elect to choose an area of business they want to emphasize, taking additional classes that improve knowledge and understanding in the chosen area of focus. Students selecting Accounting as their area of focus take courses such as Investing Basics, Financial Accounting, and Managerial Accounting. Students graduate with a Bachelor degree in Business Administration with a concentration in Accounting. Accounting is also available as a minor and may be selected as a minor area of study with any major. The Accounting discipline at Oklahoma Baptist University is part of the Paul Dickinson College of Business. The program delivers rigorous courses designed to prepare students to pass the Uniform Certified Public Accountant examination. Accounting courses at Oklahoma Baptist are recognized for their small size, providing students with the personal attention they need from professors. Past graduates from the Accounting program work in Big 5 national and international accounting firms, such as KPMG and Ernst & Young. Courses possess an applied nature that allows students to directly participate with hands-on learning approaches. Studying Accounting at University of Jamestown compliments the diverse set of business-related concentrations. Courses combine study in areas of finance, management, and business administration to provide students with insight into the broad scope of business. All accounting classes are instructed in the Unruh and Sheldon Center for Business and Technology, a state of the art facility equipped with contemporary technology and diverse learning aids. Small class size allows students to receive adequate instruction and improve learning. The program provides opportunity for international study, field experience, and co-curricular activities. Alderson Broaddus University’s Accounting program provides opportunities for student involvement through volunteer and internship experiences. The program emphasizes participation in hands-on learning, giving students exposure to a variety of accounting practices. Phi Beta Lambda, a local chapter for business students, and S.I.F.E. (Students in Free Enterprise), a national organization focusing on market economics and business operations, are both open to accounting students. Academically, the program prepares students to sit for the CPA examination, with rigorous courses, hands-on activities, and a low student-faculty ratio. Students gain a global perspective in classes providing international content. Opportunities to study abroad are available. Saint Xavier University’s Accounting program operates under the Graham School of Management. A Bachelor of Business Administration with an Accounting concentration is offered to students who wish to enter a career as an accountant or sit for the CPA examination. A CPA preparation accounting program is offered and allows students to hone their studies, emphasizing the CPA exam. Students have the option of pursuing a graduate level degree (MBA) and earning the necessary credits required for the CPA examination eligibility. A Fast-Track Business program for adults is also available. Students may earn their degree, with emphasis in accounting, in as little as 21 months. The Accounting Department at Dillard University offers quality education and assists students who plan to sit for the CPA examination. Through real life experiential learning and paid internships, students gain valuable knowledge of the world of accounting and language of business. Faculty is trained professionals with experience in all areas of accounting, including government, corporate, and non-profit. The Accounting program offers a Bachelor of Arts in Accounting with preparation to pass the CPA exam. On-campus organizations for accounting student involvement include the National Association of Black Accountants, Small Business and Accounting Center, and Volunteer Income Tax Assistance. Students who wish to sit for the CPA examination are initially prepared through Wesleyan College’s Accounting program. Offering a liberal arts education and a unique blend of courses, the accounting program provides a wide range of studies that help form the entire person – beyond accounting. Management, finance, social sciences, and humanities are all covered within the accounting degree pursuit. Students have the option of majoring in Business Administration with an Accounting concentration or majoring in Accounting. Students receive an Accounting advisor who assists in the planning of courses throughout the academic career. At Missouri Valley College students may major or minor in Accounting. The department’s mission is to provide personal instruction that prepares students to work in the rapidly evolving accounting profession. A diverse skill set is received for those who finish the Bachelor’s degree program in Accounting. Students become skilled in general accounting principles, comprehension of business problems, and the theoretical basis of accounting. The program also hones written and oral communication skills to provide students with superior abilities when working with teams. Along with the accounting course requirements, students must take Computer Science and several business classes. Operating under the C.H. Sandage School of Business, Graceland University’s Accounting program prepares students for a career in accounting. The program emphasizes a strong ethical foundation and preparation in the unique skills required of the accountancy field. Completion of the program yields a Bachelor of Arts degree in Accounting. Faculty members are experts in the field, providing intimate class size and instruction. The school provides a Center for the Study of Free Enterprise and Entrepreneurship that offers research opportunities for accounting and business students. Small class size and preparation for the CPA examination are some of the benefits the Accounting program at Salem College provides. Students may earn a Bachelor of Science degree in Accounting while preparing to sit for the CPA exam. Typical courses offered within the program include Cost Accounting, Forensic Accounting, International Accounting, and Auditing. A variety of internship opportunities are available to sophomores, juniors, and seniors. Internships may be paid or unpaid and provide the ability to earn credit while working. Past internships include positions at Algean Corporation, Krispy Kreme, Smith Barney, and Wachovia. The mission of Florida Memorial University’s Accounting program is to prepare students to succeed in the accounting profession. The program caters to students who wish to enter the professional field or continue education at the graduate level. Successful completion of the degree program requires 122 semester hours. Students are prepared to sit for the CPA examination or pursue employment through the program. Students learn how to research and disseminate knowledge required in accounting, analyze reporting issues faced by companies, and communicate effectively when making business decisions or presenting. Students pursuing Accounting at Dominican University must be admitted to the Brennan School of Business. All students are welcome to study accounting, business, and economics within the school, as electives, academic minor, or major. Students successfully completing the degree program, graduate with a Bachelor’s degree in Accounting. Curriculum prepares students with a foundation of accounting principles, leadership skills, and best business practices. Curriculum is ethics-centered and management focused. Students gain in-depth knowledge in business administration as well as accounting. Faculty members are proven experts in the field of accounting and business. The Accountancy program at Saint Peter’s University prepares students with skills required to succeed as a critical thinker and ethics-driven accountant. Hallmarks of a Jesuit education are implemented within the Accountancy degree and certificate programs. Students take classes in topics such as Personal Taxes, Forensic Accounting, and Accounting Theory. Aside from Accounting courses, Business Law and Ethics classes are required. Courses include Law and Ethics, Uniform Commercial Code, and International Law and Property Rights. The accounting honors program provides high-achieving students accounting students with seminars and opportunities to work with a CPA firm prior to graduation. Culver-Stockton College’s Accountancy program is internationally accredited and boasts a 100 percent placement rate for its graduates. The International Assembly for Collegiate Business Education (IACBE) accredits the program. Students earn a four-year degree in Accountancy when successfully completing the program. A large number of students double major in Accountancy and Finance, earning additional credits that may be applied toward the 150-credit completion requirement for the CPA or CMA certification. Student organizations for Accountancy majors include the Phi Beta Lambda chapter, Sigma Beta Delta, and the Institute of Management Accountants (IMA). Accounting students at University of Saint Mary may expect a hands-on teaching and learning experience as career-minded professors present seminars, lectures, and activities that hone accounting skills. The unique blend of coursework combines accounting, management, and information technology. The Accounting department offers a triple advantage program that allows students to earn a bachelor’s degree in four years, academic requirements for the CPA examination in five years, and an MBA in year six. Students graduate with CPA and MBA credentials. Key areas of focus essential to the program include financial accounting, income taxation, auditing, and managerial accounting. Voorhees College offers an Accounting major that translates into a Bachelor degree upon successful completion. Requirements include 50 credit hours of general education, 48 hours of business core, 3 general electives, and 24 semester hours of Accounting course work. Students must complete 125 hours for graduation. The program provides students with practical applications in taxation, accounting theory, and business concepts. Preparation for the Certified Public Accountant’s exam is a key component of the program. Career services assist with placement of accounting graduates. The Gene and Joyce Wharton School of Information Technology and Business at Ohio Valley University operates the Accounting program. Students may major or minor in Accounting. Thirty hours of Accounting courses are required, along with general education and core business classes. Students who successfully complete the major requirements earn a Bachelor of Science in Accounting. The program emphasizes both business and accounting studies. Common classes required to graduate include Federal Income Tax, Introduction to Taxation, and Business Law. The major prepares students to take the Certified Public Accountant examination. Silver Lake College of the Holy Family offers a Bachelor of Science with Major in Accounting degree. The primary focus of the degree is to prepare students with an accounting foundation that transitions into employment or readiness for the Certified Public Accountant examination. Additional coursework is required to satisfy the 150-credit hours needed to take the CPA exam. Courses in the program include Business Law, Business Statistics, Financial Accounting, and Taxation. A strong emphasis on Management and Organizational Behavior helps prepare students for leadership roles in the field of accounting. The Accounting program at North Greenville University strives to prepare students with foundational accounting skills necessary for successful careers. Students learn cost accounting, federal taxation, fraud, and corporate responsibility. Classes are small in size and offer adequate opportunities for personal interaction between professor and student. The Southern Association of Colleges and Schools accredits the program. Students are encouraged to participate in an internship with the help of mentors and faculty. High ethical standards and the development of interpersonal skills are a primary focus throughout the program. South Carolina residents would do well to consider this affordable accounting degree program. Students pursuing a Bachelor of Science degree in Accounting at Trinity Washington University may expect in-depth coursework and clinical activities dealing with ethical, legal, and regulatory issues. The major meets undergraduate degree requirements for the CPA examination for Maryland and Washington D.C. Students delve into studies that reach far beyond foundational work. Students are prepared in forensic accounting and business law, both of which are covered on the Certified Fraud Examiners examination. Common courses offered include Federal Income Taxation, Forensic Accounting, and Quantitative Methods of Business. Ursuline College’s Accounting program builds on a strong liberal arts foundation, and offers studies in both accounting and business administration. Curriculum design satisfies the needs of those wanting to pursue management accounting and those who plan to sit for the Certified Public Accountants (CPA) examination. The Accounting program at Ursuline prepares students for long-term careers in accounting, as well as for graduate school. Students graduate with an appreciation and dedication to social and ethical issues faced by accounting managers. The program has eared specialized accreditation for its business programs, including accounting, through the IACBE. 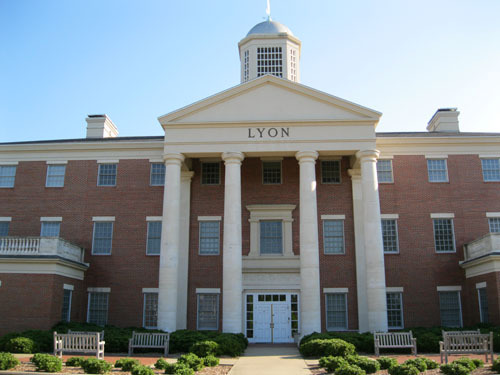 The Accounting major at Lyon College prepares students to fill accounting roles and contribute to the organizational decision making in a variety of facilities and corporations. Students learn accounting standards, procedures, and practices, becoming well versed in financial management. Students earn a solid foundation in the field for graduate school and satisfy requirements needed for professional certification as a certified public accountant. Advisers are available to assist with career goals and specific courses required for certification. The program offers mentorship beyond the classroom. The Accounting program at Paine College operates within the College of Business and Professional Studies. Program goals include exposure to business, finance, and accounting disciplines. The Accounting major introduces the basics in accounting and delves into advanced topics such as taxation, auditing, and institutional accounting. For those who desire a professional accounting career, the Accounting major is a must. Students are prepared with basic studies that satisfy the requirements for the Certified Management Accounting and Certified Public Accountant examinations. Business Administration courses are offered as Accounting electives. Wilberforce University’s Accounting program is designed for students who wish to understand accounting principles so that they may apply their knowledge to the field. Students who successfully complete the program earn a Bachelor of Science in Accounting. Accounting students at Wilberforce have the opportunity to join the National Association of Black Accountants (NABA), which provides a network of connections with professional accountants and students from other universities. Students have the opportunity to attend the National NABA meeting with faculty from Wilberforce. Mount Mary University offers a Bachelor of Science in Accounting degree and a post-baccalaureate certificate in Accounting. Both programs help prepare students to take the Certified Public Accountant examination. Coursework meets and exceeds requirements to sit for the CPA exam. Accounting majors are encouraged to join the Wisconsin Institute of Certified Public Accountants (WICPA) while taking classes. Students make connections with professional accountants and meet other students at regional universities. Scholarships for accounting majors are available, including the prestigious Claudia Deede Scholarship. Florida Southern College’s Accounting program is accredited by the AACSB. The accreditation credential is earned by less than five percent of business programs worldwide. What makes FSC’s Accounting program unique is the small class size and personal attention students receive from faculty. Full-time accounting professors extend their reach beyond the classroom, and beyond graduation. Professors meet with students during their academic career and guide them into the workforce. Faculty members provide graduates with professional and career guidance after graduation. The program is one of the few in the state with a CPA Review program, which offers discounted fees to recent graduates pursuing the CPA credential. Trine University offers preparation for accounting majors to sit for the CMA or CPA examination. ACBSP accredits the program and provides students with the peace of mind that they are participating in a reputable and valuable discipline. The program is intense and focused on contemporary accounting methods and skills geared toward meeting the requirements for sitting for the CPA and CMA exams. Internships and co-ops are available. Recent internships for Trine students include positions with the U.S. Treasury, Internal Revenue Service, Crowe Horwath, and Liberty Tax Service. Medaille College offers a Bachelor of Science in Accounting and a 4+1 program that allows students to earn a Master of Science degree in Accounting in one year. Students who opt for the 4+1 program satisfy requirements needed to sit for the CPA examination. Instructors are practicing professionals with hands-on experience in the field of accounting. Faculty prepares students with real-world skills and knowledge that is useful in the accounting and business world. Two internships are required and may be tailored to the students’ career goals and interests. Undergraduate and graduate degrees in Accounting are offered at SUNY Institute of Technology at Utica-Rome. For students interested in a career as a CPA, the Bachelor of Science Accounting program is available. Degree requirements were established by the Regents of the State of New York and meet the credentials demanded by the State Education Department and the State Board of Public Accountancy. A total of 124 semester hours are required for the undergraduate degree. The Master of Science in Accountancy at SUNY is available online. 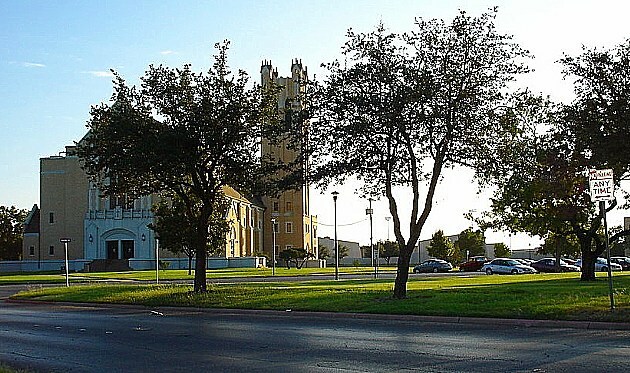 The Accounting program at Northwood University – Texas is unique in that students are allowed to begin their major course of study on day one. Students have the option of taking accounting classes during their first semester at school. The Accounting and Management curricula are integrated in a way that offers a Bachelor of Business Administration degree. The BBA and MBA option is available as a four-year course of study for those who qualify. Students may become part of professional associations while on campus. These organizations include the Institute of Internal Auditors and the American Institute of Certified Public Accountants. Offered both as an on-campus and online degree, Accounting at Brescia University prepares students for careers in the rigorous field. Students learn the necessary skills to continue their education in a graduate program or pursue the CPA examination for certification. The Bachelor of Science in Accounting program prepares students with techniques, skills, and practices necessary for success in the Accounting field. Common accounting courses offered at Brescia include Advanced Accounting, Advanced Managerial Accounting, and Federal Entity Taxation. Marketing, business, and finance courses are also required to complete the degree. Offered within the Business Department of College of the Ozarks, the Accounting program follows the college’s five-fold mission angle – to prepare students in academic, vocational, Christian, patriotic, and cultural studies. Students gain access to two business clubs on campus – Phi Beta Lambda and Business Undergraduate Society. The mission of the Accounting major is to prepare students for placement in competitive job markets, assist students with preparation for CPA exam requirements, and guide students to further education in a graduate school format. The Business and Economic Development Division at Le Moyne-Owen College offers a single major in Business Administration with concentration in Accounting. The program leads to a Bachelor of Business Administration degree with specialization in Accounting. Students receive a combination of studies in finance, management, economics, and accounting. The program prepares students with the skills necessary to pursue the CPA and CMA examinations. Students develop ethical standards, learn how to problem solve, and participate in year-round internships. The Beta Alpha Psi honorary fraternity for accounting and finance professionals is available to qualifying students. 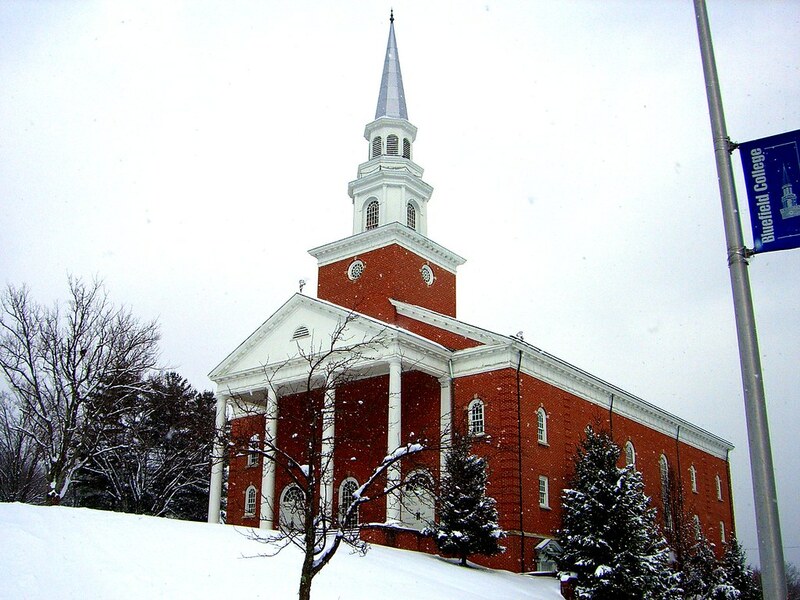 The Accountancy program at Christian Brothers University offers a Bachelor of Science degree in Accounting that equips students with skills, techniques, and knowledge necessary to achieve successful careers in the field. Tax accounting, management, and finance are some of the studies accounting majors can expect in the program. The program is considered to be demanding, preparing students for successful careers in the field, graduate school rigor, and the CPA examination. Students engage in research, synthesize information, and make decisions using accounting principles and procedures taught in class. The Accounting program at Calumet College of Saint Joseph offers a Bachelor of Science and an Associate of Science in Accounting. The flexible program offers courses for busy students who balance careers, education, and family life. The program seeks to develop business, management, and accounting skills through exposure to contemporary issues and challenges faced in the accounting field. The program prepares students for entry into the workforce, graduate school, or professional certification. The CPA examination is available to qualifying students. On-campus guidance and services assist students with the requirements for professional certification. The Business Department at Central Baptist College offers majors in Business Administration, Marketing, and Management that include coursework and concentration in Accounting. Some of the required accounting courses include Principles in Accounting, Business Strategies, and Management. Students have the option of earning a Bachelor of Business Administration Accounting Emphasis by completed required coursework. Twenty-four hours of accounting emphasis coursework is required. A Bible core of nice credits is required along with the major and general education requirements. Faculty members are professionals in the field and able to offer real world experience in the classroom. Accounting degree options at Oklahoma Panhandle State University include a Bachelor of Business Administration with a major in Accounting and an Accounting Information Systems option (BBA). The Accounting degree prepares students to work in public, governmental, and private practice accounting areas. The program prepares students for graduate level accounting studies and assists in meeting the requirements necessary for the CPA examination. Typical courses taken by Accounting majors include Income Tax Procedure, Tax Research, and Problems in Accounting. An internship elective is available as an upper division accounting course. Bluefield State College offers a Bachelor of Science degree in Accountancy for students who require an intensive concentration in order to meet eligibility requirements for the Certified Public Accountant examination. Specific courses are needed to sit for the CPA exam. 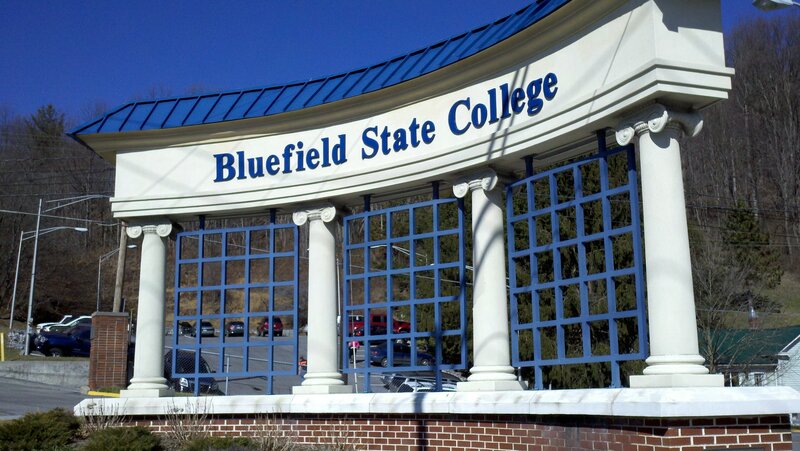 Bluefield offers required courses, including Auditing Principles, Business Law, and Taxation. The Accreditation Council for Business Schools and Programs accredits the program and Cole School of Business. Students have the option to major in Accounting or Business Administration with an Accounting Emphasis. The Accounting program at Central State University focuses on preparing students with the basic knowledge and skills required to transition successfully in the accounting, business, and finance world. Courses are designed to minimize the need for on-the-job training, providing hands-on activities and real world studies. Students learn about the challenges professional accountants face and are prepared with skills necessary to face issues and problems in the workplace. Degree requirements include a variety of math and English courses, computer classes, and social and behavioral sciences. These requirements provide a well-rounded education. The Alice Lloyd College of Business Department offers an Accounting and Business Management major that embraces principles in accounting, business, and entrepreneurship. The major prepares students to pursue the Certified Public Accountant examination and pursue graduate studies if desired. Students are also prepared to enter the workforce as an accountant. Alice Lloyd’s mission is to prepare students with leadership acumen in the areas of study. Students earning an accounting degree feel equipped to lead in a variety of settings, including governmental, private, and public accounting organizations. Our Lady of Holy Cross College offers a Bachelor of Science in Business Administration with a Concentration in Accounting degree. The program prepares students to meet the qualifications necessary to sit for the Certified Public Accountants Examination for the State of Louisiana. Courses offered in accounting and business satisfy the basic requirements to sit for the exam. Students completing the coursework feel prepared in areas of business, law, and accounting, and are able to bring a unique skill set to the workplace. Accounting majors at Brigham Young University – Hawaii, earn a Bachelor of Science in Accounting upon completion of the program. Students must be able to demonstrate competence in core accounting principles and general business practices. Students learn to work effectively with others to solve issues and challenges commonly faced in the accounting field. Common coursework topics include Auditing, International Accounting, Managerial Accounting, and Federal Tax. Ethics and Business Law courses are required, and necessary for those who wish to pursue the CPA examination. The University of Houston – Victoria, offers a Bachelor of Business Administration in Accounting that prepares students for continued education, employment opportunities, or the CPA examination requirements. Accounting students who want to pursue the CPA certification may complete the required 150 hours in five years with the 30-hour Global MBA program (Accounting concentration). Common accounting courses required include Costs and Budgets, Accounting Information Systems, Auditing, and Advanced Accounting. Lower and upper division business core courses are required for degree completion. Small class sizes are beneficial to the student learning environment. The Department of Business and Management at Dickinson State University prepares students for careers and continued education in accounting and business. Students may enroll in the Associate of Applied Science in Accounting, Bachelor of Science in Accounting, and an Accounting minor for non-business majors. The accounting program prepares students with the foundational courses and knowledge needed to pursue the CPA examination. Students learn federal tax laws, various costing systems, and conceptual framework of financial accounting. Application in the classroom prepares students for success in the accounting field through hands-on activities and peer engagement. Accounting majors at Mississippi Valley State University complete a minimum of 126 semester hours to graduate with a Bachelor of Science degree in Accounting. According to state requirements, students must earn 150 semester hours of course work study to sit for the CPA examination in Mississippi. Business Administration students may minor in Accounting. The minor requires at least 18 semester credit hours of accounting coursework. Typical classes taken during an Accounting plan include Financial Accounting, Managerial Accounting, Cost Accounting, and Auditing Theory and Practice. Accounting majors at Coppin State University fulfill degree requirements necessary to earn a Bachelor of Science in Accounting. During year one, students focus on general education requirements, including Speech and Communication, Logic, and College Algebra. The Principles of Financial Accounting course is not introduced until fall semester sophomore year. Typical accounting courses include Business and Professional Ethics, Governmental Accounting, Auditing, and Advanced Accounting. Advisors and faculty mentors are available to assist students with course load planning. Small class sizes provide an intimate learning environment. Texas A&M University at Texarkana offers an Accounting degree program that prepares students for long-term and professional careers as accountants, financial planners, and consultants in a variety of organizations. The program offers courses designed to hone ethical decision-making skills, cultivate critical thinking abilities, and introduce advanced accounting topics. Typical accounting courses include such topics as Governmental Accounting, Auditing, and Corporate Income Tax Accounting. Seasoned faculty members teach foundational courses, using hands-on and real-world application to impart techniques necessary to succeed in the field. The Department of Accounting and Finance at West Virginia University Institute of Technology offers an accounting degree program that prepares students with a strong accounting foundation and business acumen necessary to pursue professional certification. Graduates feel prepared to pursue the Certified Management Accountant exam, the Certified Internal Auditor exam, and the Enrolled Agent exam. Students may earn an additional 22 credits in order to qualify to sit for the Uniform CPA examination. The college is the only one of its kind in the state that offers undergraduate certificates in fraud examination. The Department of Accounting at the University of Arkansas at Pine Bluff equips students with the knowledge needed to work in various accounting businesses and organizations. 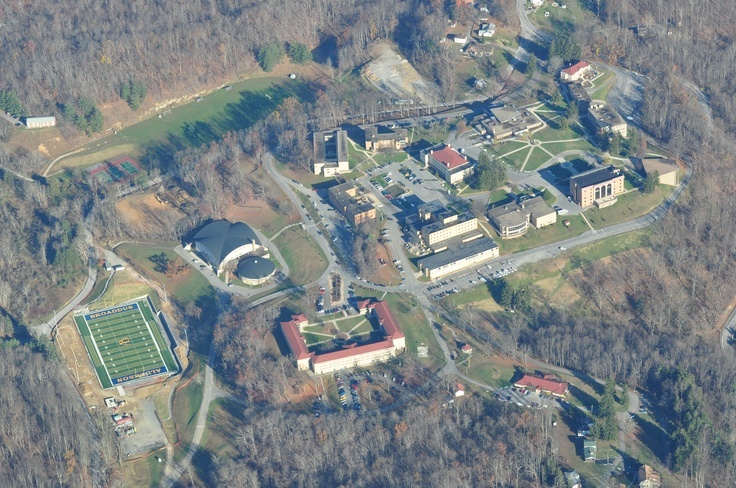 A broad general education in the sciences and humanities includes topics in communications, computer science, and economics. Once students have completed general education courses, a focus on accounting begins. The program is designed to prepare students who are interested in pursuing the CPA exam. Typical courses include Income Tax Accounting, Cost Accounting, and Advanced Accounting. Northwestern Oklahoma State University offers an Accounting program that provides students with the required skills to compete for entry-level accounting jobs and the knowledge to pursue upper level accounting roles. Students are prepared with skills necessary to enter the workforce or continue their graduate education. The Accreditation Council for Business Schools and Programs accredits the program. Accounting classes cover topics such as Financial Accounting, Managerial Accounting, and Taxation. Students take a variety of management, marketing, and business courses to satisfy degree requirements. The University of Puerto Rico – Utuado offers a Bachelor of Business Administration in Accounting. Students take general education and business courses early in their academic career and take accounting classes during their second and third year. Cost Accounting and the Intervention of Accounts and Systems are taken during the senior year. Students take electives to satisfy degree requirements during years three and four. Class sizes decrease at higher levels and students work directly with professors during their senior year. Assistance on resume creation, graduate school, and professional certifications is available. A Bachelor of Business Administration with Concentration in Accounting is available at Brewton-Parker College, which lands as our sixth most affordable accounting degree program in this ranking. Non-business majors may also minor in Accounting. The program major prepares students for roles in both public and private accounting. To complete the BBA – Accounting program, students must satisfy general education requirements and business core requirements. The Accounting Concentration consists of 18 credit hours. Nine hours of elective courses is also required to satisfy degree requirements. Accounting courses include Auditing, Cost Accounting, Managerial Accounting, and Taxation. Operating within the Department of Business Administration, the Accounting program at Inter American University of Puerto Rico at Barranquitas offers a Master in International Business Administration – Accounting, a Bachelor in Business Administration in Accounting and Accounting CPA Track, and an Associate degree in Applied Science Accounting. The CPA Fast Track program allows students to earn a Bachelor degree in Accounting and satisfy the requirements necessary to sit for the CPA examination. A number of student organizations are available on campus, which include the Accounting Students Association and the Future Entrepreneurs Student Association. The College of Business Administration at Pontifical Catholic University of Puerto Rico at Mayaguez offers a Bachelor of Business Administration with Accounting Concentration. The degree program prepares students for a career as an accountant, working in various fields of government, non-profit, and private sectors. Students who wish to pursue the CPA examination must earn additional credit. The program provides assistance and guidance for those who desire professional accounting certification. Students receive adequate training necessary to advance in the professional world of accounting and entrepreneurship. The Arecibo location of Pontifical Catholic University of Puerto Rico offers Bachelor and Master degree programs that emphasize accounting studies. Students may earn a Bachelor of Business Administration or a Master of Business Administration with Concentration in Accounting. This highly affordable accounting degree program program emphasizes accounting principles and the unique business language communicated by accountants. The program combines business and accounting studies to prepare students for advanced leadership roles in the field. Students gain insight into the business and management world, as well as the duties required of a professional accountant. Two types of Accounting programs are available at Berea College. The Concentration in Accounting option allows students to take business core and collateral courses with a concentration in accounting. Income Tax, Intermediate Accounting Level I and II, and Managerial Accounting are required for this degree pathway. Accounting students who wish obtain the 150 hours required for CPA certification may pursue the Public Accounting option. In addition to business core and collateral classes, students take courses such as Auditing, Accounting for Governmental and Non-Profit Organizations, Business Law, and other Finance, Economics, or Computer Science courses. Elizabeth City State University offers a Bachelor of Science degree in Accounting. This program, the most affordable accounting degree program in our ranking, prepares students for careers in accounting, non-profit work, or governmental roles. Students interested in pursuing the CPA certification must earn additional credits to satisfy the 150 hours requirement. A sample of accounting courses required include Advanced Financial Accounting, Accounting Information Systems, Federal Income Taxation, and Entities Taxation. General electives and directed electives are required. Math 153 Calculus for non-science majors is also a required course for degree completion. Most general education classes may be taken early on in the academic career. (*) College Navigator provides the following description of net price. Click here for a high resolution version of the award badge from this article. You are free to use the badge in your promotions and publications.